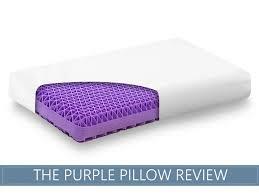 How would you rate your experience with Purple Mattress ? Brothers Tony and Terry Pearce started their own manufacturing business in 1989 making wheelchairs and carbon fiber sporting goods. Over the years, the brothers developed 23 patented items for cushioning materials, fluids, and hyper-elastic polymers used in the manufacturing of shoes, toys, and medical devices. In 2013, they created a machine called Mattress Max, which both manufactures and molds large pieces of elastic polymers into mattresses. Thus began the creation of the Purple Mattress. The company also makes pillows, seat cushions and back cushions for chairs and other purposes, along with adjustable beds, platforms for their mattresses, sheets, and mattress protectors. On July 27, 2017, Purple announced a merger with Global Partner Acquisition Corp (GPAC) with a value of $1.1 billion. Purple sells mostly online, but competition is stiff. In early 2018, the company began offering their product at Mattress Firm locations. Company headquarters for Purple are located in Alpine, Utah. Question 1: What is the phone number for Purple Mattress ? Answer 1: The phone number for Purple Mattress is (801) 756-2600. Question 2: Who is the CEO of Purple Mattress ? 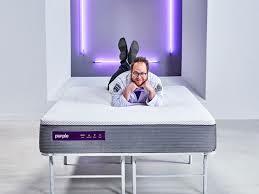 Answer 2: The CEO of Purple Mattress is Joseph Megibow. 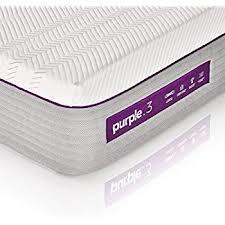 Question 3: Who founded Purple Mattress ? Answer 3: Purple Mattress was founded by Tony Marion Pearce & Terry V. Pearce in 2010. Want to make sure Purple Mattress sees your comment or complaint?